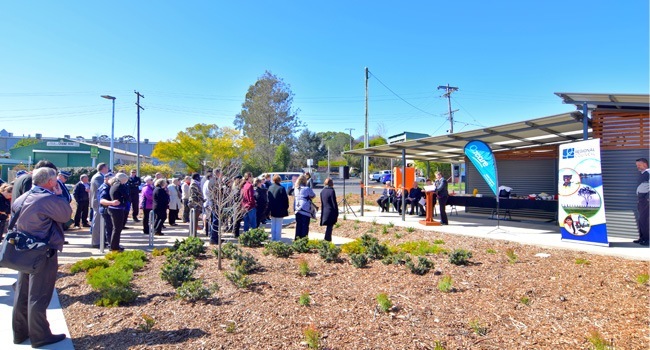 On the 6th of August, 2015 Toowoomba Regional Council launched a community amenities building to support the needs of homeless at Clewley Park. 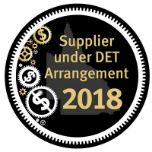 This amenities building has been the dedication and hard work of many council staff and local organisations such as Ozcare, St. Vincent De Paul, Rosies and the local Darling Downs Crime Prevention Police Services, to name a few. The needs of the homeless will now be represented in this area so they can be clean, comfortable and prepare meals. 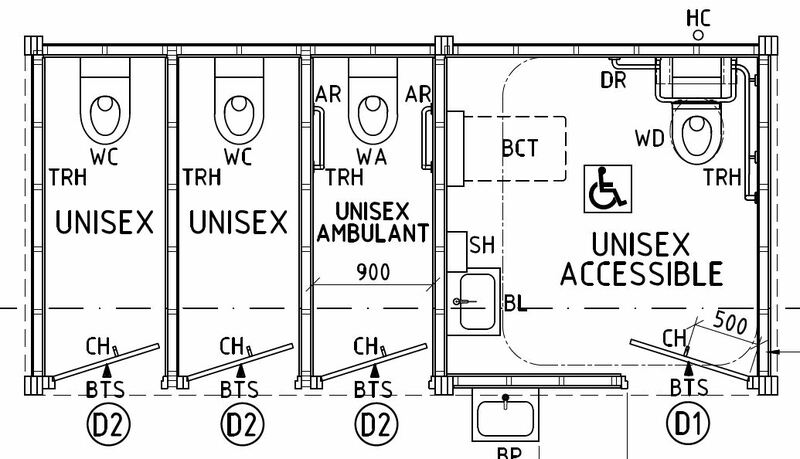 This amenities building has one kitchenette/laundry room, 2 unisex accessible shower cubicles, two unisex standard cubicles, three unisex ambulant restrooms, one service duct with three hot water systems, and a common outdoor covered area. 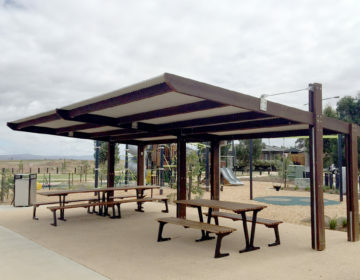 The building was engineered in kit form, providing a low site impact solution. 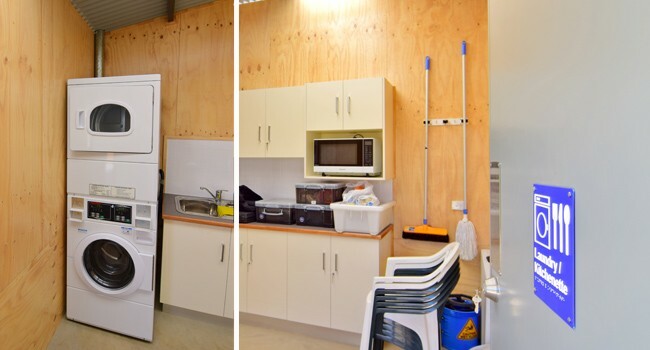 The 143m2 (under roof) building was built in a 6 week period (including the slab and fit out by Landmark Products), however there were additional works in the kitchen/laundry and the surrounding grounds to ensure the whole site provided a place that was comfortably finished. 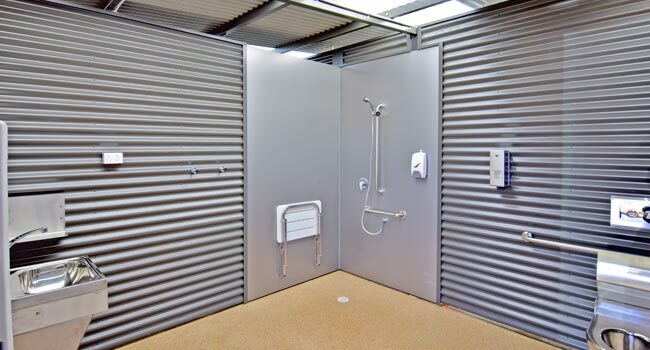 The shower cubicles were lined with custom corrugated orb (an undesirable canvas for graffiti, CPTED principle) and Alucobond (aluminium composite) for superior wet area performance. The fixings and fixtures where stainless steel or finished in a corrosion protective finish. Natural lighting is provided by through the skylight roofing sections throughout the whole building and electrical lighting controlled through a PE cell. Flooring inside was finished in an epoxy stone grip coating, which provided an R10 slip resistance. The coating won’t harbour bacteria, has a high resistant wear factor and is non yellowing which were all important factors in providing that perfectly finished flooring for shower and restroom spaces. The kitchenette / laundry was finished by others once the building envelope was complete including the smooth ply and stain finished lining, kitchen and appliances to council requirements. 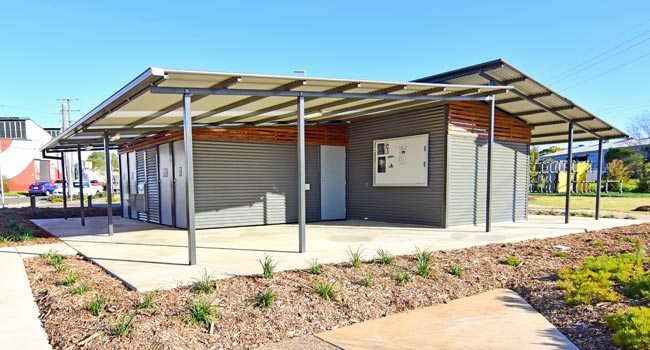 “The recently built Clewley Park Facility (supplied and constructed by Landmark) designed to support homelessness services and people in Toowoomba has been well received by community service organisations. 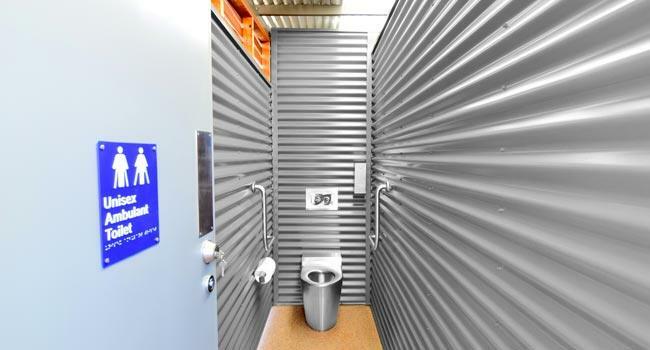 At the launch on the 6th August services toured the new facility and spoke positively about its design, shower and laundry spaces and the ability to support programming out of the undercover areas at the facility”. The design of this community amenity is part of our custom restroom and custom change room and sporting amenity solutions.